Admission here, and this is at least partially why I was inspired to #ReadMyOwnDamnBooks and not buy this year. I have books on my shelves I've NEVER OPENED. Either I read the blurb and purchased them, or I knew the books by reputation and bought them. And there they sat. And sat. Someone tell me they have this going on on, too. Salamander by Thomas Wharton is pretty (I promise, I won't say this for every book)! I know I read lots of reviews of this one, oh, probably 10 years ago? Maybe 15? As I think about it now, it's definitely one of the oldest books left on my shelves. Time to read or cull. The Mysterious Benedict Society by Trenton Lee Stewart is one of the books I bought half-price by reputation alone. I don't read the same amount of middle grade fiction that I used to, so we'll see if this one ultimately makes the cut. 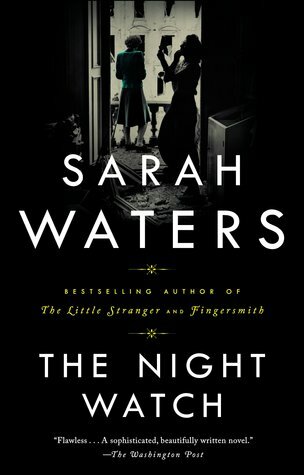 The Night Watch by Sarah Waters will DEFINITELY get read. I buy all of Waters' books because I love her so hard. In truth, I'm sort of hoarding this book. 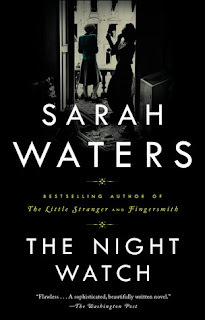 There are often Sarah Waters dry spells, so I'm saving this one for when I need a fix. 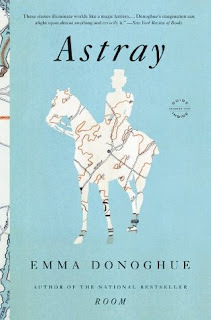 Astray by Emma Donoghue is a similar situation to The Night Watch. I'll definitely read this because I love short stories, I love Donoghue, and I bought the book when it was on sale. 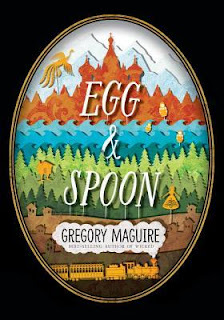 Egg and Spoon by Gregory Maguire was a going-away present when I left my job in March, so it hasn't been languishing on the shelves for nearly as long as the others. I have a hit and miss relationship with Maguire. 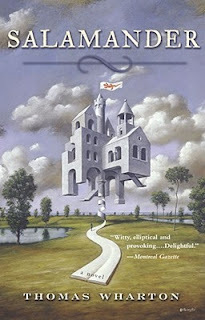 The Oz series is a big hit, but others, like Confessions of an Ugly Stepsister, didn't play as well. Now, don't leave me hanging! What books on your shelves have you completely ignored? P.S. Today is your last chance to donate to my St. Baldrick's Foundation fundraiser! I'm over the $1,500 goal, but who says that should stop the fundraising? Thank you so much for your support! I'll post my head shave here when it's done! I've ignored far too many to name! I have tons of books that I've bought over the years that I've ignored. I'm trying to focus on reading only those, but I can't help but get caught up in all the new releases. I have that Mysterious Benedict book, too. I thought it sounded fun, but never got around to it. Oh boy, do I understand this. The one that immediately comes to mind are Never Let Me Go by Kazuo Ishiguro. I've heard a lot of good things, and the premise is fascinating (human clones?!) and yet I never grab it. I can empathize with this post. FWIW, The Mysterious Benedict Society books are delightful! Some of my favorite middle grade fiction, and I recommend them often to kids at my library branch. Oh yes, I can relate! I don't even want to know the number of books... oops. Oh, man! I have way too many YA books on my shelves when I got caught up in that genre via BookTube. But let's talk about all of the free and 99 cent books I've purchased for my Kindle. SOOOO many of them have gone unread! If I own a book, the likelihood that I'll read it goes way way way down. I have no idea why that is. Maybe because I know I can read it whenever I want? Anyway, it's a real problem. I like "Egg And Spoon." Never heard of it. I have more Book Orphans than I have Book Children (assuming the children are the ones I've read lol)!! I love that term. I could write a whole post myself this! I read Astray years ago and really liked it - I just reread my review as a refresher and I said (and I quote), "I wouldn’t call this an entertaining read. Not because it’s bad or boring or anything like that, but I don’t think that it’s something that I would pick up if I wanted to be entertained. This is the book you pick up when you want a quiet, but quick read with great writing and interesting characters." So there you go - not interesting, but a good read anyway! That was definitely the appeal of #ReadMyOwnDamnBooks for me. It's especially a problem on my Nook. I download books and then completely forget about them. I mean completely! Oh goodness, if I made a post about this, it would be the longest one I've ever written. Ha!! Well, one that I keep saying I'm going to read remains on my shelf, unopened. That would be Alice Hoffman's "Blackbird House." There are a hundred plus or more just like it, although I feel like I've done very well this year, reading my own damn books. BTW, "The Night Watch" is excellent! at the moment on what I actually consider my TBR pile (all of my unread books, taht aren't somewhere in storage), the oldest is The call of the Wild/White Fang. not sure how logn I've owned it, but it has to be about 10 years now I think? After that we have The Book of Barely Imigined Being that has been sitting on there for about 2,5 years. and a Bambi omnibus, also 2,5 years. I don't even want to think about it. The two that give me the worst guilt are Primary Colors by Anonymous - which I feel I should read now as it's an election year and Guns, Germs and Steel. Someday! During my last big book purge, I gave in and got rid of books that I seriously had bought almost 20 years ago but then kept putting off reading. It was time to admit that, for whatever reason, they weren't ever going to be read. It was liberating to have them off my TBR but I still felt a twinge of guilt. First World Problems, right? 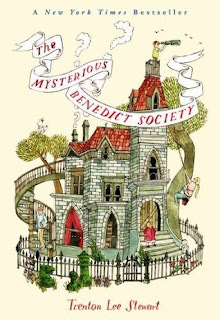 Mysterious Benedict Society will be a great read aloud for your son. Congrats again on being over your goal - that is so awesome! Regarding the books... oh dear, I have shelves of books unread. I probably should stop going to the library and buying books but what can you do right? I have nearly 100 books in my TBR list so ... far too many! I'm prone to buying books when I'm at the annual Litfest here - to support the authors that come and because the books sound interesting. 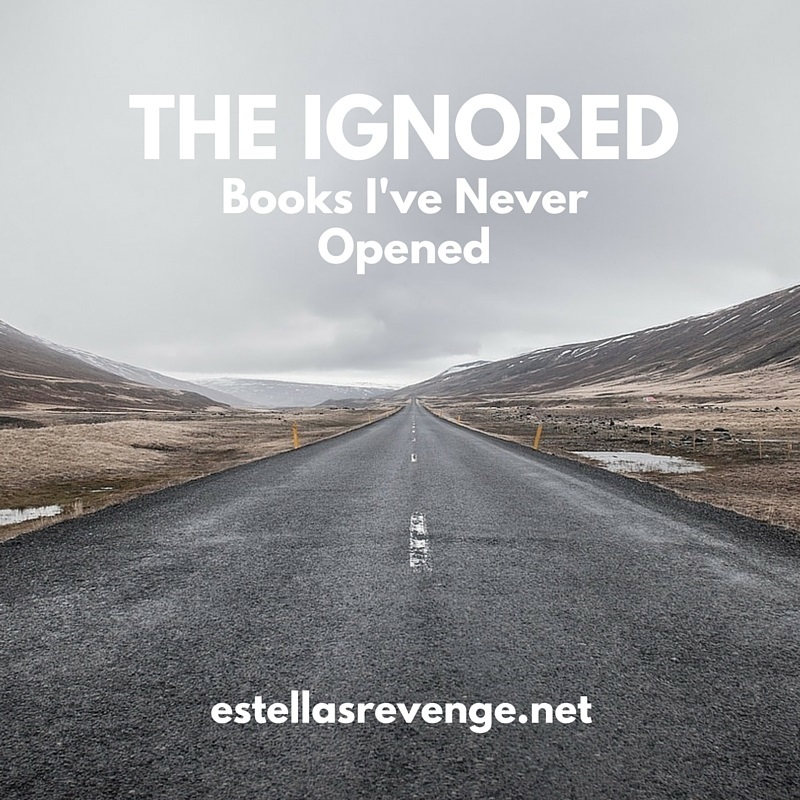 But many of them have never been opened, partly because I didn't know enough about them before I bought them to make them jump to mind when I'm looking for a new book. I have an entire floor to ceiling bookcase stuffed full of books I've never opened, and I've been on a book buying ban for a year and a half. I've also taken box after box of books to sell at the used bookstore, but between getting books as gifts or gift cards to bookstores and winning giveaways, my shelves are no less emptier than they were when I started the buying ban. Well . . . you've seen my shelves. I could go on all day but I've managed to get all the books that were piled up on the floor either put on shelves or out of the house in recent months, so I'm happy. I like living in a house with the feel of a library (although I wish I'd unpacked the books in a more organized manner - I can't find next month's F2F read and I *know* I have a copy). I enjoyed The Mysterious Benedict Society, BTW. It's a cute story, though, not overly memorable.